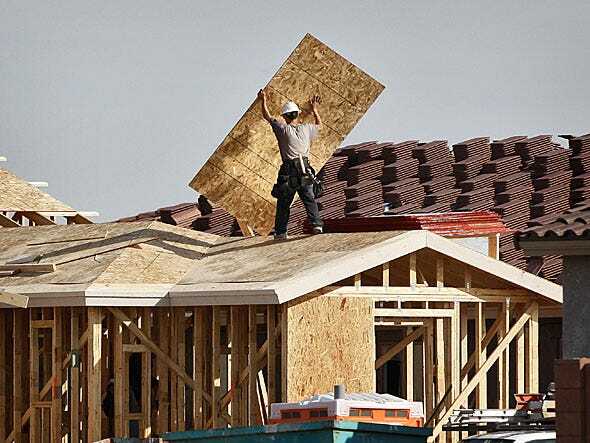 Moments before, we saw that January new home sales were up 15.6 per cent month-over-month (mum).And significantly, supply decreased to 4.1 months supply at current sales pace compared with 4.8 months in December, and 5.3 months a year ago. The months’ supply figure was down 14.6 per cent mum, and 22.6 per cent year-over-year (YoY). 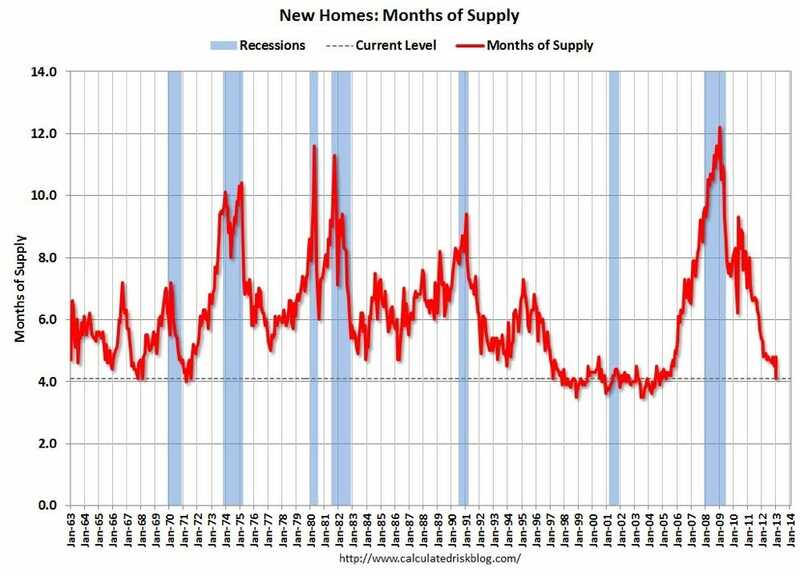 The number of homes however stayed flat at 150,000 in January, and was up from 149,000 a year ago. 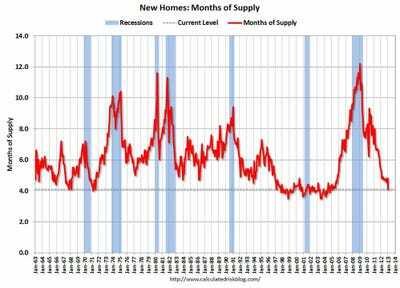 Paul Diggle at Capital Economics writes that today’s data shows that “supply conditions are extremely tight” and that home price gains should pick up this year. America’s largest homebuilder D.R. Horton has previously said that it will “thrive” as the housing market sees limited supply, according to Reuters. Meanwhile, a decline in inventory (both new homes and existing) was one of the key reasons that Bank of America’s Michelle Meyer hiked up her 2012 home price projection to 6.4 per cent, and raised her 2013 projections to 4.7 per cent. This along with the S&P Case-Shiller home price report that came out earlier today shows that the U.S. housing market is looking at a good year.